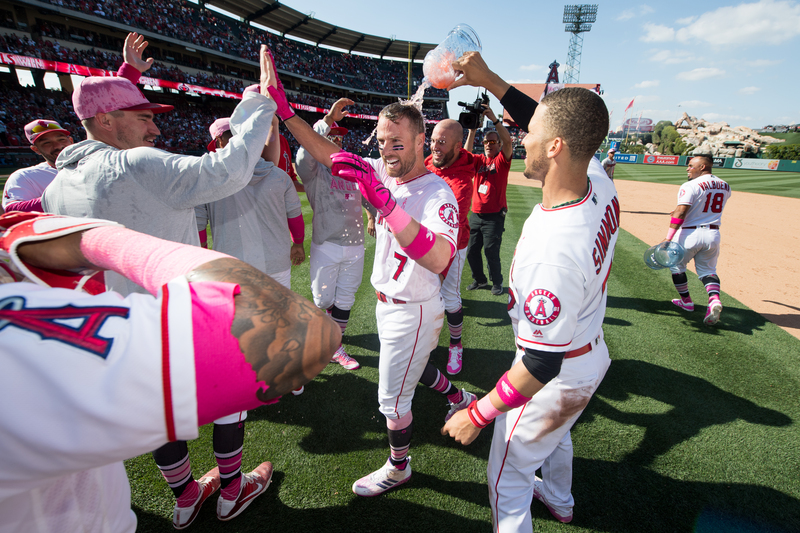 ZACK COZART is splashed in a victory celebration after his RBI single in the bottom of the 9th gave the Angels a 2-1 walkoff win over the Twins on Sunday (Angels photos). Now, that was drama. That was a happy ending. Before a sellout crowd at the Big A on Sunday afternoon, the Los Angeles Angels of Anaheim got a royal pitching performance from Shohei Ohtani for six plus innings, and Zach Cozart crowned it with a single that gave the Halos a walkoff 2-1 win over the Minnesota Twins. Going into a key series with the American League West-leading Houston Astros, the Halos needed to stop the two-game skid against the Twins to give them some emotional momentum in a battle for the lead. The win put the Halo mark at 24-16, a game back in the division. Ohtani’s performance was enough to cheer anybody up. He worked six -plus near-perfect innings and ended up giving up just three hits and one earned run. He struck out 11 batters and walked two. He didn’t get the win, though. That went to Richard Parker (1-1) a reliever who retired one batter in the top of the ninth and was the pitcher of record when Cozart did his thing. Chris Young led off the bottom of the ninth by being hit by a pitch, then advanced to second on a bunt by Martin Maldonado. He raced in to home when Cozart lashed a single to right, bringing in the second and winning run. It was Cozart’s third hit of the day, out of seven for the Angels as a team. 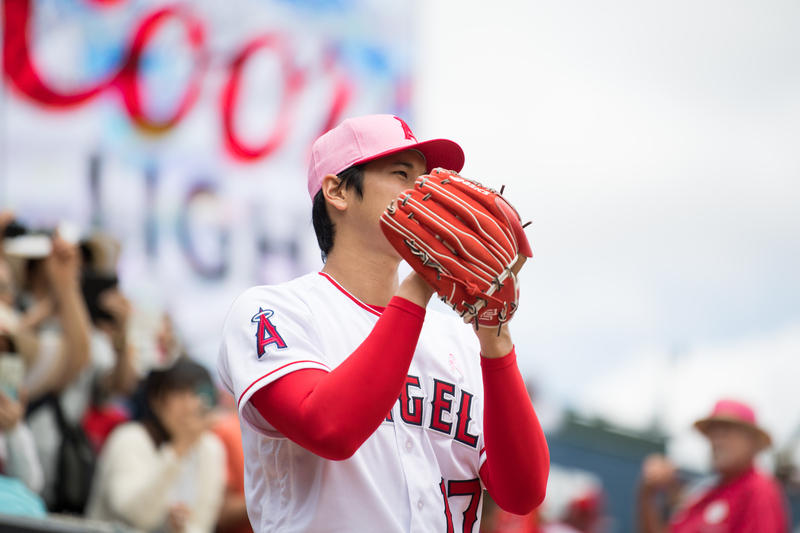 His golden RBI followed a Golden Glove play in the top of the ninth by the Angel defense. Ehire Adriana tried to score from first on Robbie Grossman’s double. But Mike Trout fielded the ball and threw a relay strike to Ian Kinsler, who cut down Adriana at the plate in a close play. The series with the Astros will start on Monday night with Andrew Heaney (1-2) making the start for the Angels against Lance McCullers Jr. (5-1).